The history of Valentine's Day is full of theories about how the holiday began. Ever wonder how Valentine's Day came to be? 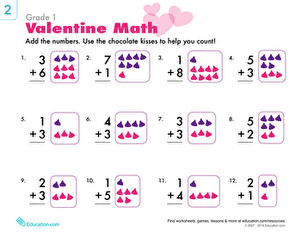 Read a bit about the history of Valentine's Day with this worksheet, which includes a couple of different theories on how this romantic holiday was born. Then your student can use his creativity to come up with his own theory! Learn about the history of Valentine's Day with this reading exercise and activity. 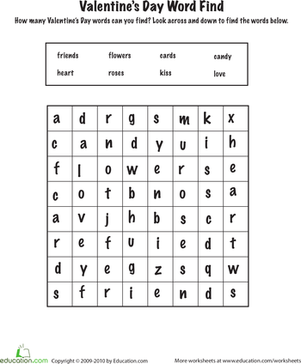 Celebrate Valentine's Day by searching for themed words hidden within this puzzle. Looking for St. Patrick's Day trivia? See how many of these questions you and your kids can answer!